Adds Faster Than Factory Interface To Mac Pros, Great For PCs Too! 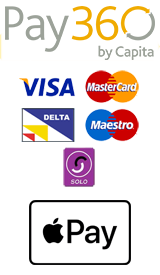 From faster backups and file transfers to high-end Audio/Video editing, connecting an eSATA interface equipped device to the MAXPower 4-Port eSATA RAID Card can take data transfer performance to an entirely new level. 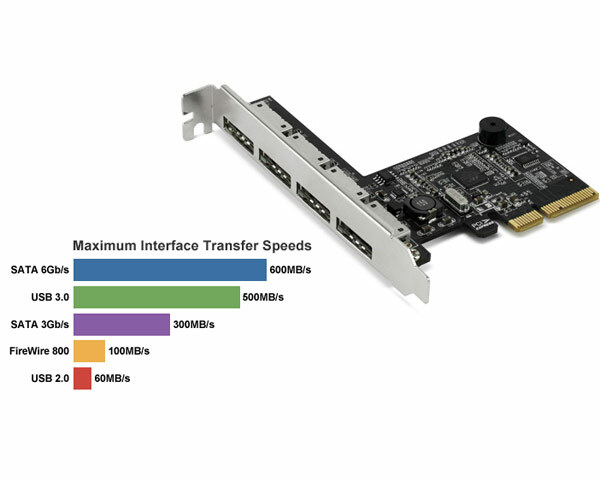 Optimally compatible with Mac Pro models and PCs with an available PCIe 2.0 slot, the MAXPower 4-Port eSATA RAID Card works with ANY eSATA interfaced equipped external hard drive to deliver significantly faster data transfer rates over the fastest factory equipped Mac Pro interface of FireWire 800. Port Multiplier Support for Up to 20 Drives In addition to supporting up to four single or dual eSATA enclosure, the MAXPower 4-Port eSATA RAID Card supports port multiplier enclosures to connect up to 5 drives into a single eSATA port. By supporting port multiplier enclosures, the MAXPower 4-Port eSATA RAID Card can provide massive storage and increased data protection by utilizing up to 20 drives for protective RAID arrays such as RAID 1, 10, & 5.